Keywest is the ideal mooring rope thanks to it’s abrasion resistance and UV resistance it is a rope for the severest conditions. it is easy to splice and retains it’s softness during it’s entire service life. Suitable to be used in an electric anchoring winch for it’s good insulation properties. Made from White three strand twisted Polyester rope with an inner material identification thread. In full accordance with EN697. Sold by the Metre or on 100m Reels. Bahama is a rope with high flexability and the ability to absorb energy for the optimum damping of shocks. 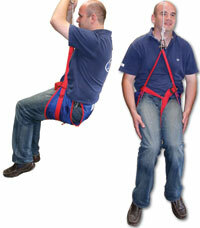 Bahama is an extremely strong rope with excellent abrasion resistance and is easy to splice. It is suitable both for mooring and anchoring. Made from White three strand twisted Nylon rope with an inner material identification thread. In full accordance with EN696. Sold by the Metre or on 100m Reels. 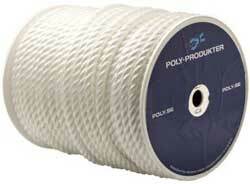 An unbelievably lightweight rope suitable for mooring and towing. Malaga retains it’s flexibility during it’s entire service life and never gets hard. Thanks to it’s softness malaga is very easy to splice. This rope is NOT suitable for anchoring. Made from Three strand twisted Polypropylene rope in accordance with DIN 83334. Available in White, Red and Blue with a thick White fleck. Sold by the Metre or on 100m Reels. 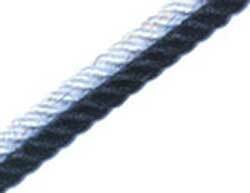 100% High Tenacity 3-strand polyester giving excellent handling properties and abrasion resistence. A 3-Strand poly properlene multi-filament that is soft yet strong. Good uv resistance, does not absorb water. Uses include fender lines, calving ropes and lightweight, temporary mooring lines. 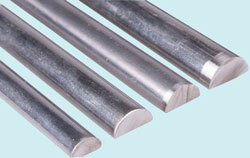 Has a traditional appearance and is especially suitable for classic craft. Made from 3 strand twisted polypropylene staple to resemble natural hemp. 100% High Tenacity 3-strand polyester giving excellent handling properties and abrasion resistance.